MELBOURNE, AUSTRALIA - Music Theatre International (MTI) have announced the opening of an Australasian office in Melbourne later this year, as well as new European Office in London, and eventually an office in the Far East. Already the largest company in its field in America, MTI is the world’s leading library of musicals. Founded by the legendary composer Frank Loesser over sixty years ago, MTI represents and licenses the performance rights to the works of the majority of contemporary musical theatre writers throughout the world. MTI’s catalogue includes legendary shows ranging from Guys and Dolls, West Side Story and Fiddler on the Roof, to modern classics like Hairspray, Little Shop of Horrors and Mamma Mia! It also represents the majority of works of Stephen Sondheim (including Sweeney Todd), as well as all the stage productions of Disney Theatrical and Cameron Mackintosh (including The Lion King, Mary Poppins, Miss Saigon and Les Miserables). and who will be writing the future hits of musical theatre. 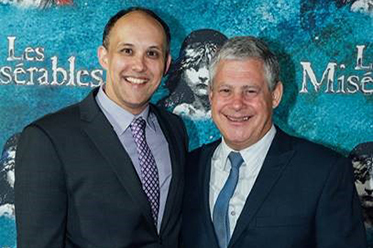 Freddie Gershon, the Chairman of MTI, invited Cameron Mackintosh to join him as an equal partner in the company twenty-five years ago. Recently Cameron acquired the majority shareholding. During this time, under Freddie’s inspired leadership, the company grew from being modestly successful to its current pre-eminence. In 2007, Gershon and Mackintosh appointed Drew Cohen to become the company’s new President, and now the Chief Operating Officer of the company’s global activities. Their shared vision of the company’s future, harnessing MTI’s unique resources and stellar reputation for reaching new audiences, looks forward to developing even more ground-breaking projects in this field. “The Company has always been proud of both its independence, and the dedication and reputation of its remarkably passionate team recognized throughout the world as the best in their field,” said Mr Gershon. MTI provides an innovative service bringing the largest and most diverse collection of musicals to an ever-expanding world market. Mackintosh’s control of MTI gives the company the responsibility of ensuring the secure future of over 400 musicals, alongside servicing over 100,000 clients worldwide. This serves to realise their desire to keep this unique collection of works out of corporate hands to serve copyright proprietors with passion and integrity as well as their heirs long into the future. For the past 13 years MTI has enjoyed a hugely successful and happy relationship with Hal Leonard Australia and their Managing Director, Philip Burn, representing the MTI catalogue in Australia and New Zealand. Stuart Hendricks will become the Managing Director of MTI Australasia whilst continuing his current role with Hal Leonard. “We have thoroughly enjoyed our relationship with MTI and we look forward to this new chapter that will, I am sure, be to the mutual benefit of both companies and to the lovers of musical theatre in Australia and New Zealand,” said Mr Burn. Through its direct licensing activity and via its sub-agent partners, MTI already regularly licenses productions in over 50 countries around the world, and in any given hour an MTI musical is being performed somewhere around the world. With this expansion of offices, MTI is about to live up to its name and become truly international, serving its clients directly in all corners of the globe. Hal Leonard Australia will continue to license and distribute the performance materials to the amateur, education and professional markets.